Buffy The Vampire Slayer had great storylines, great characters, and great dialogue. It did not have a great sense of fashion. 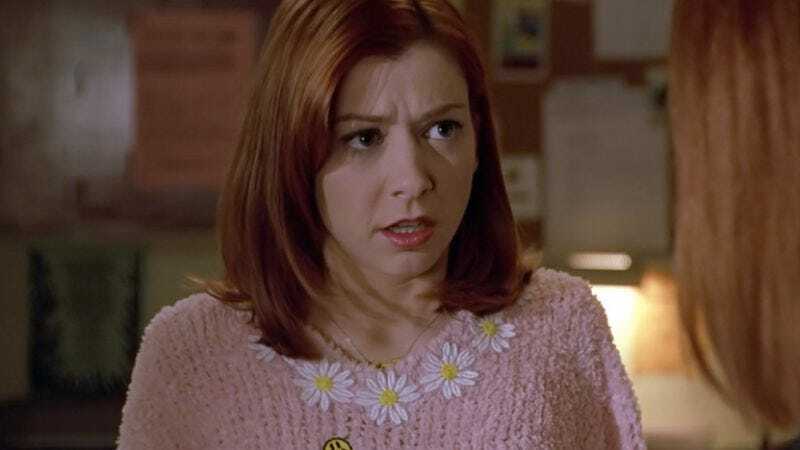 Indeed, the clothes on Buffy were of an era, and even in the context of the late-90s and early-2000s they were pretty awful. So much so that there’s an entire Twitter account devoted to Bad Buffy Outfits—and, boy, are there some stinkers. So consider us rendered skeptical of some of the merchandise featured in Hot Topic’s upcoming line in honor of the show’s 20th Anniversary that Yahoo! debuted today. A recreation of this hideous Willow sweater from season three’s “Doppelgangland?” No thanks. We’ll even pass on a version of this oversized red coat that Buffy donned in that season’s finale, though, fine, a Faith jacket would be pretty cool. The Hot Topic offerings are part of a load from various retailers sanctioned by 20th Century Fox Consumer Products. We’re more partial to Ripple Junction’s Sunnydale High T-shirts and Surreal Entertainment’s stake-themed mugs. See more over at Yahoo!